Led extensive research and development at Awesomeness prior to building the platform to understand the business problem, develop a rich picture for the movement of metadata across the company, and define the product features and necessary integrations. 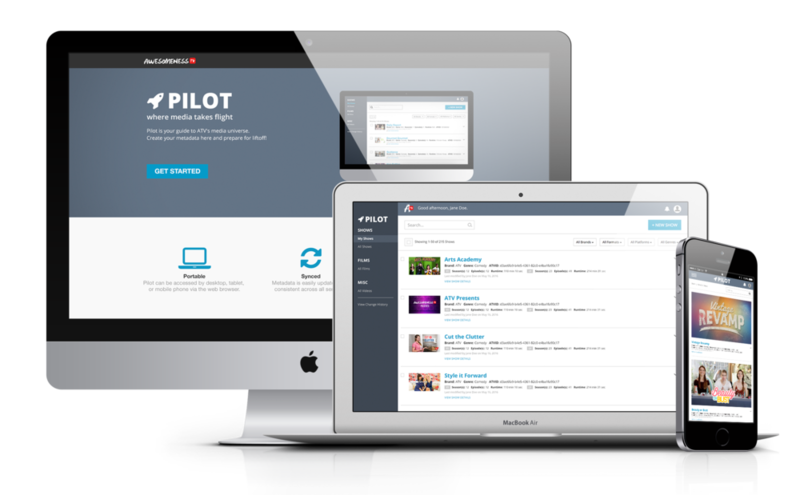 Pilot is one of a suite of products I have built for Awesomeness. It is core infrastructure for media delivery. A responsive web app that seamlessly integrates with external services, keeps metadata in sync, and generates unique IDs to track assets across other platforms. Ethnography, contextual inquiry, competitive analysis, proof-of-concept prototyping. No central location for all metadata produced across the company. Inconsistent and static metadata spread across external services and spreadsheets. Inability to track performance across platforms and seasons without identifier. Inefficient workflows between production, content operations, licensing & distribution, and delivery & publishing. Centralize metadata across all platforms in one simple interface. Integrate the platform with external services bi-directionally for near realtime syncing. Auto-generate unique IDs for syncing, tracking, and analysis. Deliver, publish, market & sell content more efficiently.